Marriage Conference at St Mary! St. Mary of the Immaculate Conception Parish is thrilled to announce our 2019 Marriage Enrichment Workshop: “Building Stronger Marriages & Relationships”. 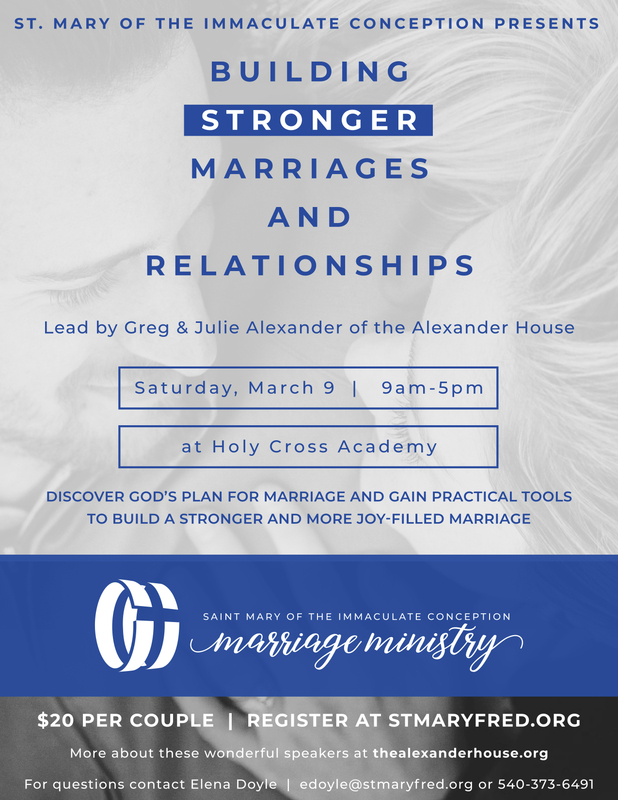 Lead by Greg & Julie Alexander of the Alexander House on Saturday, March 9, 2019 from 9am-5pm at Holy Cross Academy. Attendees will discover God’s plan for marriage, as well as gain practical tools to build a stronger and more joy-filled marriage. After miraculously returning from the brink of divorce by inviting God back into their relationship, Greg and Julie developed what is now known as the Alexander House, a non-profit apostolate dedicated to proclaiming the beauty, goodness and truth of marriage. Their revolutionary Date Night Ministry is consistent with Catholic Church teachings and Christian family values. They have been guests on EWTN and are one of the most sought after speakers on the vocation of Marriage. Do not miss is the opportunity to build a stronger and more joy-filled marriage! THIS IS THE BEST VALENTINE’S GIFT YOU CAN GIVE YOUR SPOUSE! More precious than chocolates, flowers and dinner, INVEST IN YOUR MARRIAGE! Make 2019 the year you love more intentionally! The registration portal for the 2019 Marriage Conference is now closed. 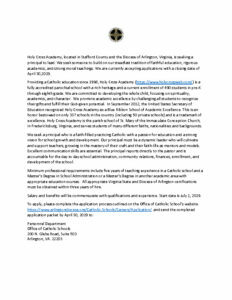 If you are interested in attending, please contact Elena Doyle directly at edoyle@stmaryfred.org as late registrations are being accepted. 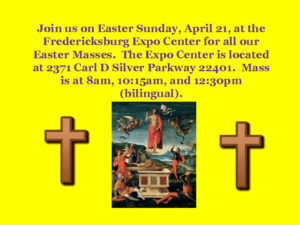 A special Mass will begin at 4:00pm to end this powerful day.